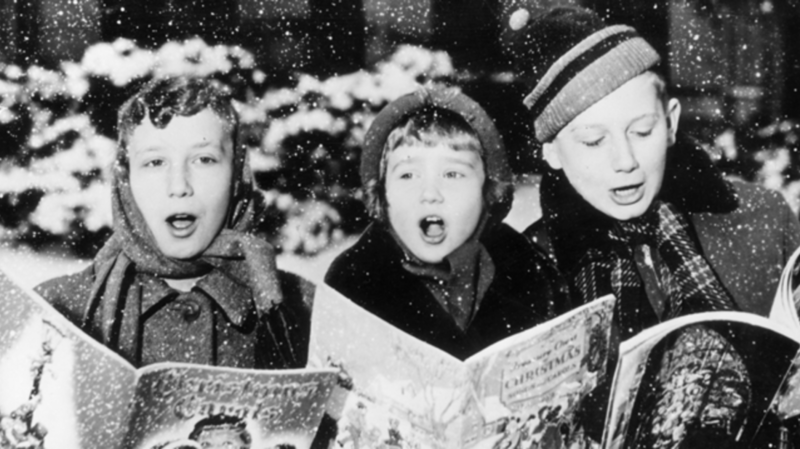 The holiday season is the most nostalgic time of year, so it only makes sense that the most popular Christmas songs are from the 1940s and '50s. To really put a retro spin on the season, we gathered up 15 songs from even earlier—the '10s, '20s, and '30s. And while they might not be coming directly out of a record player, they're sure to put you in a very merry sepia-tinted mood. Perhaps the most traditional song on this list, its performers—the Edison Mixed Quartet (also sometimes referred to as the Edison Concert Band)—also recorded a few similar-sounding Christmas tunes during the early 20th century. OK, this isn't a song—but we just had to include this 1922 bit that does end with a rendition of "Jingle Bells." If you're a music lover, you know (and love) Bessie Smith, but you might not have heard this holiday track, which combines Smith's soaring vocals with delightfully jazzy horns and piano. We've included a few blues tracks here, because, hey: the holidays are the best time to be cheerful—and depressed. Vernon Dalhart was an important figure in the early days of American folk and country music—even with a background in opera. He auditioned for Thomas Edison and, over the course of several years, recorded hundreds of songs for Edison Records under a number of pseudonyms. After that, Dalhart began to record country songs, becoming a household name with 1924's "The Wreck of the Old 97." If the name didn't tip you off, here's another blues track. And if you find yourself in need of more, click on over here, here, here, here, here, and here. Yes, there are a surprising number of great blues songs about the holidays, and these somber tunes will definitely bring you joy. While the Christmas music of the '40s and '50s would start to make its way into the studio, much of the earlier music of the holidays still had that live, big band sound—including this 1930 recording. This is the kind of song you might expect to hear in a Christmas special for kids (which is a total compliment). A very cheeky song honoring the age-old question you've never thought to ask: "Does Santa Claus sleep with his whiskers over or under the sheet?" An instrumental track that's perfect for you if orchestra swells are what really get you in the holiday spirit. "Swingin" might actually be the best way to describe this 1936 jazz carol. This song is sometimes listed as "What Will Santa Claus Say? (When He Finds Everybody Swingin')," which is a pretty fun image to conjure if you ask us. Before "All I Want For Christmas Is You," there was "I Want You For Christmas." Don't let that creepy preview image above fool you: This 1939 song is a sweet ode to all the things we already have (with some not-so-subtle nods to the turmoil happening around the world at the time).